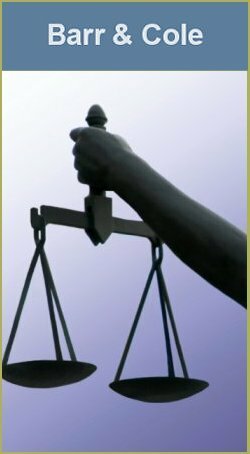 Barr and Cole litigation attorneys have a wide range of experience at the trial and appellate levels in both state and federal courts. Our attorneys provide comprehensive advice to all of our clients realizing that each has different needs. We have represented individuals and businesses as both plaintiffs and defendants. We work with our clients to provide a solution best suited for their situations. Our attorneys recognize the potential costs of litigation and pride themselves on providing excellent services at affordable prices and achieving cost-effective results. From sophisticated contractual disputes to malpractice and personal injury cases, our attorneys have experience in a diverse range of civil matters.